Music Minus One has been around for decades as an aid to music practice. A sound recording is provided of accompaniment, without the solo, for the student to play the lead part along with. Rear cover, originally with mirrorized insert. 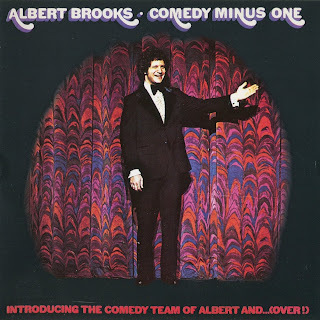 Before Albert Brooks was a movie maker, he was a legendary comedian. 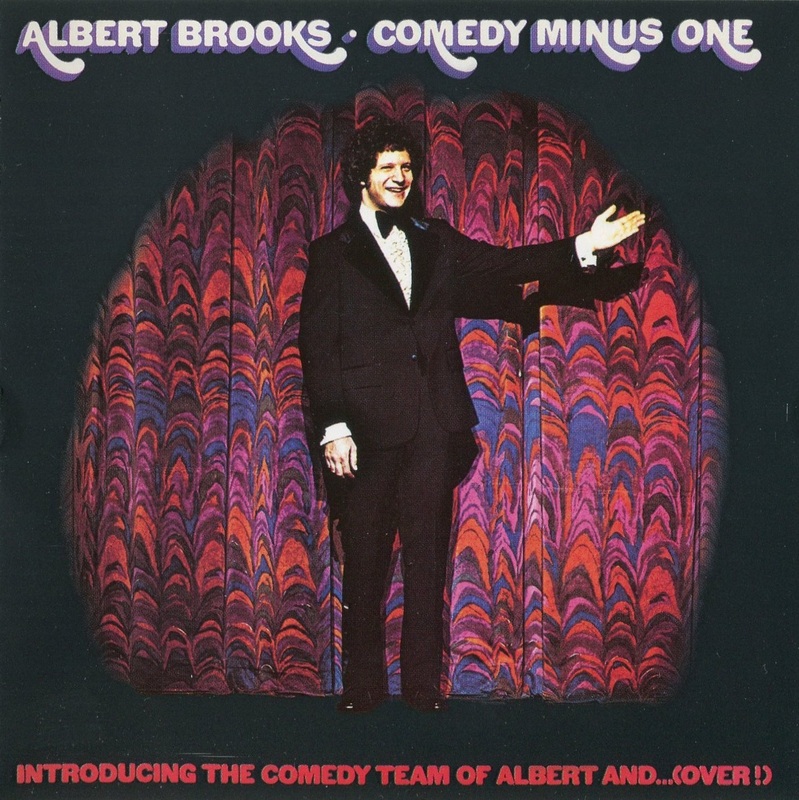 In 1973, Brooks adapted the "play along at home" theme with the final track from his LP Comedy Minus One. That recording is long out of print. Below is the title track: Comedy Minus One. 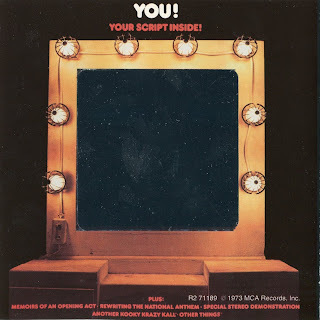 Someone kindly typed up the script that was included in the original LP. Follow along here to perform with Albert Brooks.